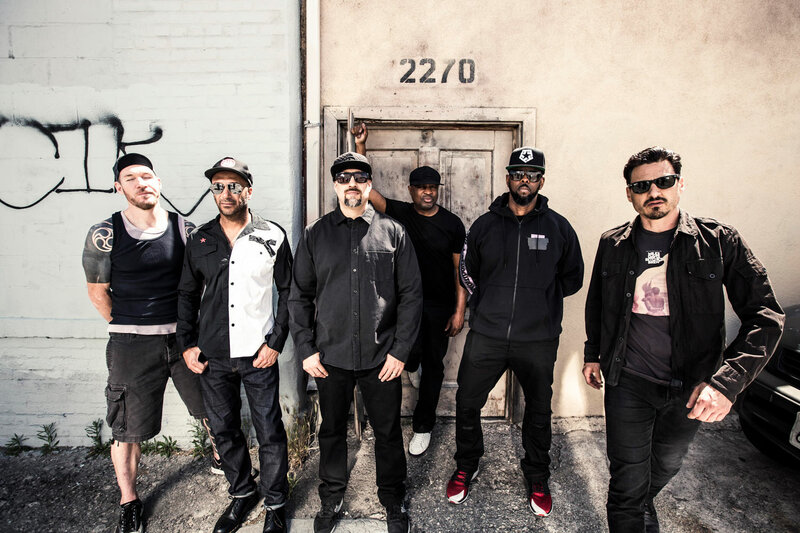 Blogtown: Prophets Of Rage - The Debut Album Out Today! Prophets Of Rage - The Debut Album Out Today! Prophets of Rage are THE band for these times, as attendance at one of their shows clearly proves. It is pure energy, pure intensity, and pure rage aimed at the social injustices of now, delivered with the solid one-two-three punch of the classic rock sounds from three of rock and hip hop's biggest bands coming together as one. Rage Against The Machine. Public Enemy. Cypress Hill = Prophets of Rage, and while we all miss the fiery teachings of Zack de la Rocha leading Rage, Chuck D and B Real bring a whole new vibe while keeping their own legendary personas front and center. It's something else. 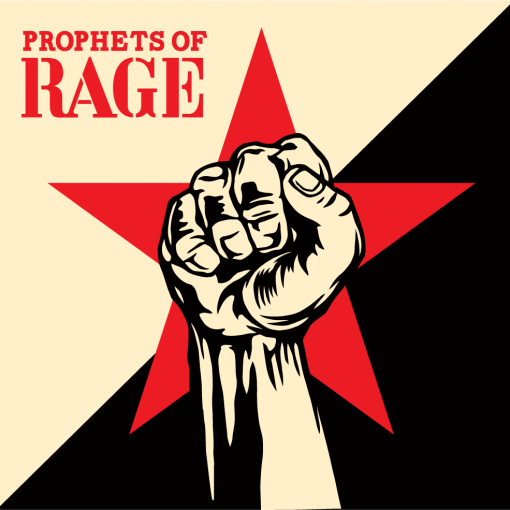 The debut album, the self-titled Prophets of Rage is out everywhere today, and we finally get to hear the original songs that these music icons came up with together. I'm blasting it right now, and feel myself itching for either a big, crazy rock show, or an all out, take it to the streets monster protest. It will do that to you. I was all ready to expose my Minneapolis people to this mind-blower of a rock show this weekend out at Canterbury Downs, but for some lame reason, the sponsoring radio station (93X) cancelled it. That's enough to start our own protest right there. Minnesota people will want to make the trek somewhere else to catch this. Lame. The new album showcases each member of the band at their best ... from the power trio from Rage (Tom Morello, Brad Wilk, and Tim Commerford) to DJ Lord to Chuck D and B Real, all in firmly in their element. Standout tracks to me are "Hands Up", "Radical Eyes", "Smashit", "Unfuck The World", and "Strength In Numbers", but every song is gonna do some sonic damage, and absolutely rile up everyone within earshot. There are very few recording artists putting their mouths where their money is these days, and POR doesn't care what anybody thinks - they just say it like it is. And they mean business. The music - and the movement - is crazy infectious, and unafraid to stand up and speak out to anyone or anything that is keeping the people down. Guys ... Thank you. Thank you for Making America Rage Again. We need you!!! Fans - Get it. And definitely catch it live if you can. Great White Opens On Pacific Avenue - Get Bit!